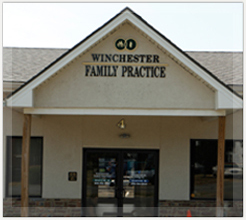 Winchester Family Practice Health Service provides healthcare for all ages with a personal and family-oriented touch. Winchester Family Practice aims to develop a care plan that meets your Family's needs We take pride in our staff and the quality of care we provide. As a local provider with over 10 years serving the Winchester Community, we can be versatile and creative in providing care that is unique to your situation.